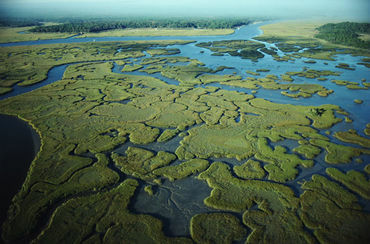 Tell FL Governor No More Oil Wells In The Everglades! The Everglades nourish wildlife and plants native only to Florida. There are over two dozen protected species that call it home. This fragile eco-system provides a major source of recharge to aquifers that serve millions of Floridians. Thanks Lindsey - noted, signed and shared. signed Sept 12, and shared, thanks Lindsey. Noted and signed, apparently the oil and gas industry won't be satisfied until they pollute the entire planet. They'll accumulate boatloads of money but our planet will be so uninhabitable that money will be a useless commodity. More oil wells in the Everglades? There should be NO oil wells in the Glades. Must we destroy everything that is beautiful? Done. TY Lindsey. Thanks Lindsey, Signed and shared. Haven't the Everglades suffered enough? Frustrating. Signed. Why do they want to keep destroying our planet? Signed. THanks Lindsey. Noted and signed over on Change already! Thanks Lindsey!! Nothing that Rick Scott does surprises me anymore! He's a shill for the oil industry and a poor excuse for a Governor. Petition gladly signed! SIGNED and Noted!! Thanks, Ciao!! Action already taken! Absolutely. Thank you for posting. Noted and already signed. 278 signatures so far. Signed and shared ~ Have a wonderful weekend Lindsey ! Already signed and noted, thank you! You signed this petition on Sep 13, 2011. I love the Everglades! Been there many times, it is such an important eco-syetem, it must be protected at all costs. Thanks Lindsey! Signed & shared - thanks Lindsey.